UPPERCASE KRADL Pro Small Profile Aluminum Vertical Stand for Retina MacBook Pro 13'' or 15'' (2012 to 2015 Releases), Silver/Black by UPPERCASE at Tobby News. MPN: UPP-S03-SLB. Hurry! Limited time offer. Offer valid only while supplies last. 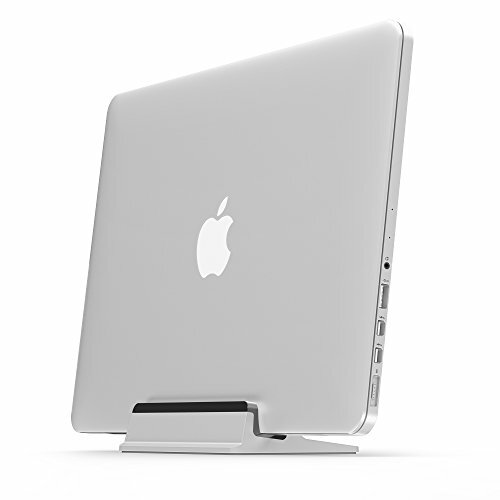 Designed in California exclusively for the Silver MacBook Pro with Retina display 13" or 15". Not compatible for MacBooks with protective case installed.